Value and Service have always been the key deliverables of KisanKraft. They look at various products available in the world, adapt it to Indian farming conditions, test it and ensure that it is the right product at reasonable prices for farmers in India. Agriculture plays an essential role in reshaping India’s economy as over 58 per cent of the rural households depend on agriculture as their sole means of livelihood. Agriculture, along with fisheries and forestry, is one of the largest contributors to the Gross Domestic Product (GDP), with the share of agriculture and allied sectors expected to be 17.3 per cent of the Gross Value Added (GVA) during 2016-17. While the market is fruitful for bigger entitites, there is a lack in congruency, when it comes to mechanization needs of small and marginal farmers. Here KisanKraft plays an important role in revolutionizing the industry. The initiative came as a pet project of Ravindra & Sarika Agrawal. The couple grew-up in small towns of Chhattisgarh and were always fond of agriculture. After more than 20-years in Computer Software, including 15-years at Microsoft Corporation in USA, a visit to the villages made Mr Agarwal shift his focus to address mechanization needs of small and marginal farmers. Mr. Agrawal brought a truck load of small machines in early 2005 and toured many states of India to find out farmer requirement, post which they had started KisanKraft in 2005 from a small basement garage in Bangalore. Value and Service have always been the key deliverables of KisanKraft. They look at various products available in the world, adapt it to Indian farming conditions, test it and ensure that it is the right product at reasonable prices for farmers in India. Post this, the products are backed by after sales service and ready-in-stock parts. KisanKraft has 1:2 ratio of service-technicians to sales staff and undertakes continuous improvements in the products, with patented work. KisanKraft has factories to manufacture Engines, Waterpumps and Cultivators in India with most of their products are also tested and approved by FMTTIs. KisanKraft conducts large scale work in product development, product modification to ensure that the product is suitable for Indian farmers. They have realized the potency of their machinery employ a large number of technicians to facilitate cost-effective repair, while also providing training to their dealers’ mechanics. It is this commitment to ensuring value for the farmer that has helped them become the leading brand in India for small farm machinery. KisanKraft has been funded by the savings of the founders and has no external investors. They are fiscally prudent and have had positive cash flow for many years. KisanKraft conducts business only through their dealer network, requiring advance payment from dealers. They have been monetizing sales from the first day, with a great deal of investment in market and product development, keeping a positive cash flow in mind. This has kept their financials healthy and policies fiscally prudent. KisanKraft has dealers in every state of India, and it is empanelled in farm mechanization schemes, of most states, which have such programs. However, the company needs to increase our reach at the taluq/block levels of India. They also need to increase our product penetration. Additionally the firm needs to continue to add products and services to our portfolio of offerings. KisanKraft is planning to expand manufacturing facilities to build more products and higher quantities, while also expanding their product range keeping Indian farming practices in mind e.g. Paddy Weeders, 1-Row Cotton Pickers etc. They are also expanding their resources in developing planting materials and have setup a team of Agriculture Scientists and plan to develop varieties of rice, sugarcane, cotton etc. which will be non-GMO, provide good yields, reduce water consumption and be environmentally sustainable. KisanKraft is set to create awareness among farmers of affordable and appropriate mechanization to alleviate farm-labor shortage, improving micro-climates for plants by mechanization, addressing issues surrounding various labor intensive tasks etc. At the same time, they will continue to improve last mile delivery and service of products by increasing their dealer networks. This has to be continually supplemented by product improvement, product additions and training. Their first challenge was to hire employees who are willing to work in rural areas, whereas most people were migrating to urban areas. Next challenge lay in demonstrating and convince farmers about suitability of their offerings, get them tested by government authorized institutes and have them approved for subsidy. However, these were pre-expected challenges, where the organization had persevered and succeeded. 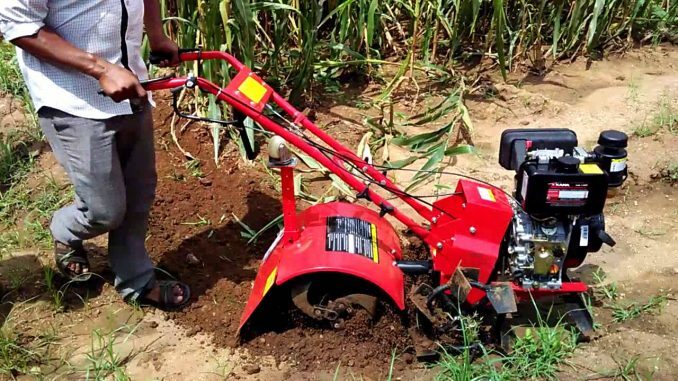 KisanKraft believes that it is only recently that they have begun looking beyond tractors for mechanization, and small farmers in particular. When 50% of the country’s population directly depends on agriculture this is a very big opportunity. Key is to be sensitive to Indian farming practices, challenges of small plot farming and provide solutions that fit the budget and help increase the farmer’s income.